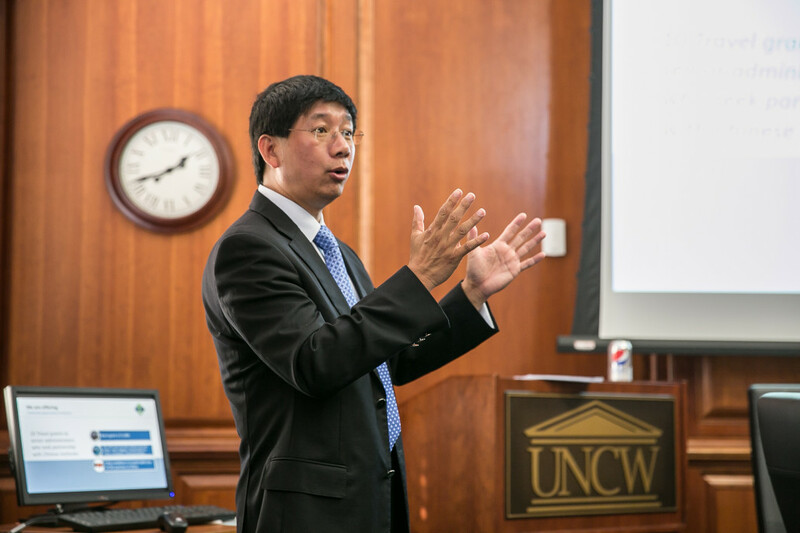 Global Education Institute CEO Jason Li attended and spoke at a conference on international programs hosted by the University of North Carolina General Administration at UNC-Wilmington Oct. 3. 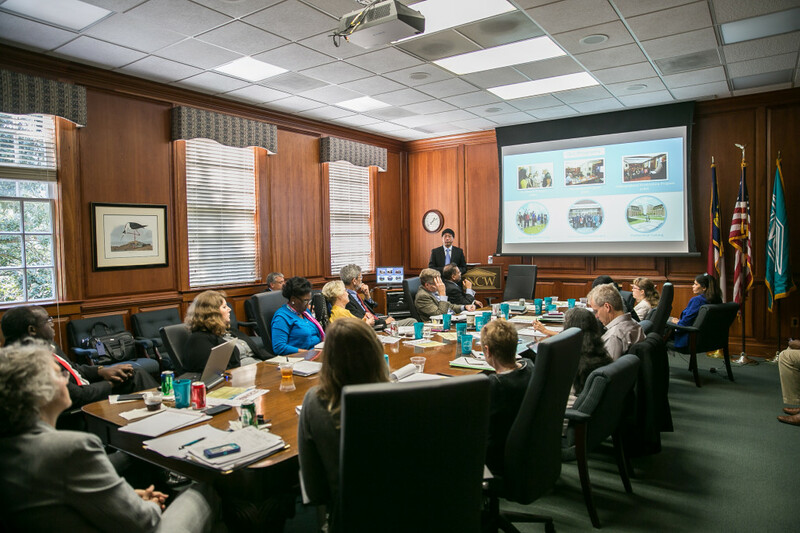 Li addressed all 17 UNC executives responsible for international programs and other attendees about GEI’s programs and ways GEI could collaborate with UNC schools in developing international programs. 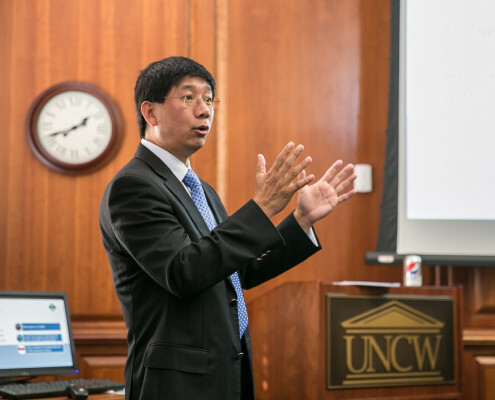 GEI has successfully implemented initiatives including its Pre-Master Program (PMP), Pre-Doctoral Program (PDP), Undergraduate Acceleration Program (UAP), Summer Camp and Professional Development Program, each of which demonstrates how GEI can help the UNC system attract quality international students. 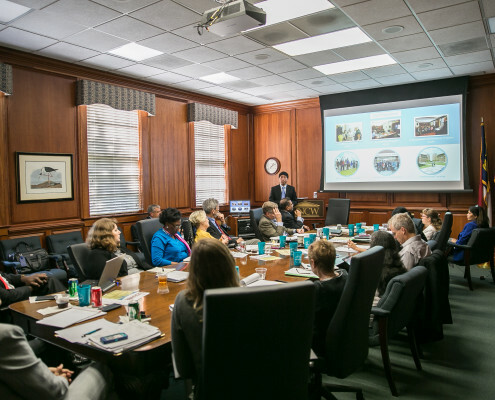 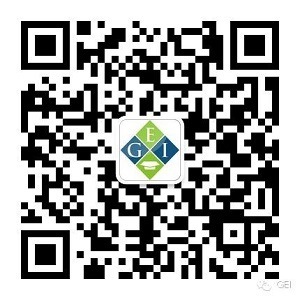 Li told UNC leaders GEI’s welcomes UNC schools to establish programs in partnership with GEI’s Shanghai Educational Development Center, strategically located in Shanghai (the commercial center of China and likely therefore of Asia).